Visit Us in the heart of New England. Minutes away from many great attractions. For conferences, trade shows and more we offer 47,500 st ft of exhibition space with state-of-the-art tech and ample parking. Contact our meeting and event planners to make sure your next event is a success. 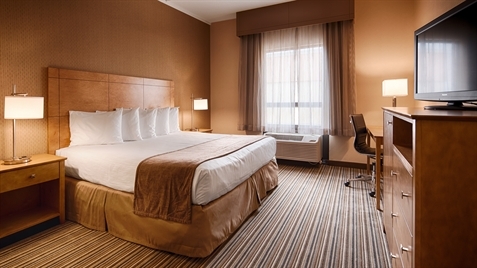 Make the most of your New England getaway when you stay with the Best Western Royal Plaza Hotel. Experience the best in comfortable accommodations and modern event space in Marlborough at the full-service Best Western Royal Plaza Hotel in Marlborough. Located in the heart of Marlborough, MA, just 35 miles west of Boston, our convenient location puts you just minutes from many major businesses, lots of golfing, antiquing, sports venues and plenty of other activities and attractions to keep you entertained while you are in town. In addition to our hotel meeting space, we also offer 47,500 square feet of space in our Trade Center, so whether you're planning an anniversary party for 50 or a trade show for thousands, we have you covered. Our ample meeting and event venue features 22,000 square feet of flexible event space perfect for weddings, family reunions, banquets, business seminars, board meetings and training sessions. Best Western Royal Plaza Hotel in Marlborough offers thoughtful amenities & free perks to make your stay more enjoyable. Take advantage of our free parking, free shuttle service to any destination within six miles of our hotel, and free Wi-Fi, as well as our heated indoor swimming pool, game room, and two on-site restaurants. Our event planners, in-house audiovisual department, professional catering team and experienced staff all come together to make your event flawless and unforgettable. For exceptional Marlborough hotel stay, look no further than Best Western Royal Plaza Hotel and Trade Center. Please contact our friendly staff at 508-460-0700 or toll-free at 1-888-543-9500 for more information about booking your next room or event.